For one man that you will meet who has a fairly well built chest, you will find one hundred who have a poorly shaped pair of calves; and for every ten you find with a good looking biceps, you will find eighty with poor forearms. The relative difference between biceps and forearm development is not so great as that which exists between the chest and calf. No doubt, this is due to the fact that, when a person strives to improve the size of his upper arm he involves to a certain extent some forearm action, which helps to bring about a little better condition. But still, the average is tremendously below what it should be, for reasons that we will go into further on in our story. 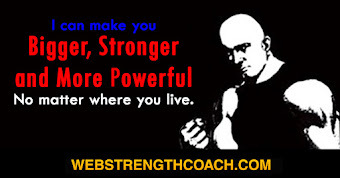 Perhaps you will think it an odd comparison to try to strike an average between chest and calf development, but it is not such a bad contrast after all, if you are willing to consider the fact that the craze for chest development is almost equal to the big biceps craze, and that the legs are used continually all day long in the transportation of our body. If the chest had any kind of muscular co-ordination with the calves as the biceps has with the forearm, then we would see better results. Yet, if we had to seek a comparison of other muscles of the body with the calf and forearm, we would reach a worse average. It is the truth that no two parts of the body are concentrated upon so keenly as the chest and biceps, and no two parts are neglected so badly as the calf and forearms. It is natural for all of us to go after an object that provides the possibility of gaining the richest success, no matter what our object may be in either business or in sport. So it is just one of our worldly failings to make the same choice when it comes to muscle building. A big chest and a big biceps are two of the greatest glories of a young man's dreams, while the forearm and calves are forgotten. There is always an awakening, which usually is brought about when the contrast between the fine development of other muscles, in comparison with the lack of development in these two quarters becomes evident. Still, developing in either of these two parts is not such an easy matter. A very few do make unusual progress. Once in a great while, I hear from some exercise fan who tells me that he has no trouble with his calves or his forearms. He usually has troubles that lie elsewhere. I generally find that nature has been very kind to these parties in the first place, but these cases are rare. Of the two, there is no question but what the muscles of the calf are the more difficult to improve. It really is a shame that this is so. Poor calves spoil the whole build, no matter how good we may be. Somehow I have acquired the habit of always looking at the calves the first, when surveying a physique. The calf of the leg does not have to be extremely large to set off a build; it is the shapeliness that gives distinction to their appearance that counts. Well formed calves are something beautiful to look upon, and the finest examples of calf development, apart from a certain class of bodybuilders who did not overlook the existence of these muscles in the first place, are found to belong to sprinters and cyclists. They both also have fine thighs, but their calves re generally par excellence,, and this is particularly true of the bike racer. Of course, these conditions are perfectly natural, because these men depend more largely upon their leg strength for success than do other athletes. Yet, I am not going to advise everybody who wants good calves to take up sprint racing or bike riding. There are other means just as effective, but these two examples are good to bear in mind during our lesson on muscular operation. I have listened to various arguments by learned individuals who each had different ideas as to where they thought the difficulty existed in these troubled sectors. 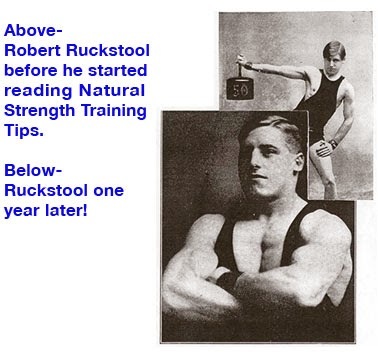 Each man had a certain amount of truth behind his convictions, but I believe that it is a collection of many reasons that make the calf and forearm muscles very stubborn from a development standpoint rather than just one reason. For the present, we will consider the calf, since I appear to have first allowed my mind to run in that direction. In the chapter in which I have discussed the mystery of strength, I have shown how nature from her natural reservoirs supplies the body with the strength to suit the needs of circumstance and how she accumulates muscular size in proportion to the stimulated strength, but here is a place where, at first appearance, nature appears to have fallen down. 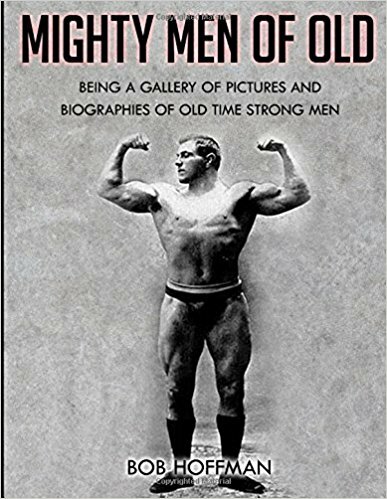 Take postmen or policemen, men with an occupation that calls for constant use of the legs with very little interruption for rest during the day, you rarely see any of these men with unusual muscular size, unless they have practiced some sports that have involved great calf action. Now I agree that this does not seem right, for we have found that if a man goes into the lumber camps and swings an axe he received bigger and better shoulders, and so on, but here we find nothing out of the ordinary. The only change we can find is that the calf muscles are very hard, and they have a clearer muscular separation. There must be a reason for this peculiarity which apparently has been overlooked, but I think that we can find it. In the first place, ordinarily, the lower legs do not have so much to do with carrying the bodyweight as does the thighs. Most people have the impression that the lower limbs do it all. If they did, then nature would have equipped us with larger lower leg muscles. What actually takes place is that the muscles of the calf control the stride, the leg action from the knee down, in extending the foot. The calf muscles appear to me to be especially endowed with endurance, and they are primarily built for that purpose. In ordinary use they are called upon more for endurance than great muscular contraction. It surely is strange then that their structure should be so much harder than any of the other muscles, that is, if we view the situation in the same manner as the men who believe that hard muscles are a sure sign of being muscle bound. This one fact disproves that hard muscles are bound. It is the quality of their structure that has increased their fibrous texture, and the size they ordinarily acquire is sufficient for ordinary conditions. Under examination, it is found that the tissues of the calf muscles are considerably more dense than the muscles of the biceps or even the thigh. This fact alone is one reason why the structure is so hard to break down in order to provide for greater growth. Then again, the manner in which we walk has a lot to do with it. A very well known track coach and famous walking champion once told me that the longer the stride, the less the actual action of the gastrocnemius muscle, which is the double headed muscle that forms the back of the calf, is called into play. He claimed that the greatest share of the lower leg action was absorbed by the great Achilles tendon, and the muscle that runs up the front of the shin bone. This was the reason he advanced, why walkers and long distance runners, in general, do not have larger calf muscles than they have. In the heel and toe stride, the body weight is "rocked," as walkers term it, and the real movement takes place from the hips and not from the knees. In spring racing it is different; the action comes from the knee, as we will see. Anyone can observe that people with flat feet have poor calves, and a man with a small foot is apt to have a better shaped calf, because his stride is shorter, and he is better balanced upon his toes. This is one reason why women as a rule have better shaped calves than men. It was not so twenty years ago, because they had not then adopted, for general use, the high heeled shoes now worn high heels cause a greater contraction of the calf muscle and also shorten the stride. Wearing such footwear is not a procedure of which I can say, I greatly approve, but it has an effect upon the calf that bolsters my belief. People who live in the mountains have better calves than the lowlanders. Walking up a steep grade, or climbing crevices, as mountaineers do, compel a shortened stride with a greater contraction of the gastrocnemius muscles. Nothing but very vigorous play of these muscles will increase their growth, and it has to be vigorous. The muscles of the leg and foot are divided into three series and are termed as follows: first series, the extensor muscles on the front of the leg and dorsum of the foot. Second series, the muscles on the lateral, or side of the leg. Third series, the flexor muscles on the back of the leg and the sole of the foot. I am not going to name all these muscles, as most of the names do not have any special meaning, as do some others in the body. These Latin and Greek names are not the easiest thing in the world to remember, so we will just concentrate on the more important names. The gastrocnemius or "calf muscle" as I explained, lies on the back of the calf, and they are muscles of flexion, which does not exactly mean of contraction. To flex is to bend, a when we say a piece of material is very flexible, meaning bendable. They bend the lower leg on the thigh, operating much as the forearm does on the upper arm. The gastrocnemius have very powerful knee control, and are divided in two sections. Each head has an origin at the knee, but becomes inserted into a broad membranous tendon which we generally term the tendon of Achilles, although it has another name. If a person walks flat-foot, very little contraction of the muscles is caused, as it is the muscle that contracts as the body is raised high upon the toes. The next important muscle is the Peronaeus Tertius, which is really a part of the extensor digitorum longus. It is a long strip of muscle that runs down the outside of the leg. It helps to flex the ankle and raise the foot in a lateral manner as in dancing and skating. Another muscle on the lateral part of the leg is the Peronaeus Longus, which everts the foot and greatly strengthens the arch of the foot by its passage across the sole to its insertion. Try to keep this clearly in mind as I am explaining the principle will have no interruption in studying the best type of exercises later on. The next is the Soleus, which does not cover the sole of the foot. It is a muscle that operates individually and is a very powerful extensor of the ankle with a triple origin. Our last muscle of importance is the Tibialis Anterior, better known to us as the shin bone muscle. Now these are all with which I am going to deal, because what these muscles do, actually controls and decides what the other muscles, that surround the calf, will do. We all realize that the largest muscle is that twin creation on the back of the calf, and it is the muscle that decides for us on sight whether a person has a good looking leg or not. 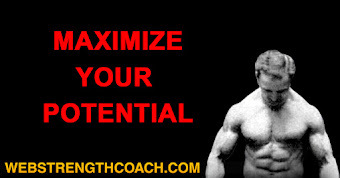 However, we positively must consider all the muscles when it comes to the right kind of exercises to promote growth. If you want to find out how little a person knows about calf development, ask them to give you the best exercises for the lower limb, and it is a cinch that they will know a greater variety for any other part of the body than for the calf. It is surprising to me how little is really known about exercise of the lower limbs. To invite a person to go out and walk six miles, jump, spring or bike race, in order to get a better leg, is to ask them to indulge in sports for which everybody has not the time or the inclination. To me, such advice seems poor indeed, or an admission that you are stumped. The real value of exercise lies in its ability to supply the need at a saving of time. Most people are not interested in the idea of taking up dancing, or sprinting to gain good legs. I know the vast majority of bodybuilders are not. There is a lot of difference between games and exercise. 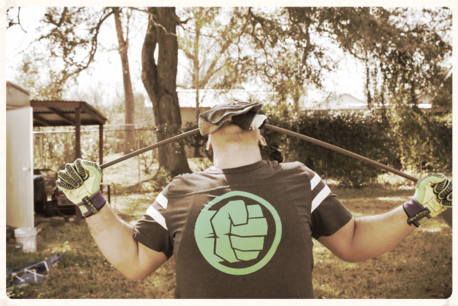 Exercise is a thing which everyone can benefit from and excel at, but this is not true of games. 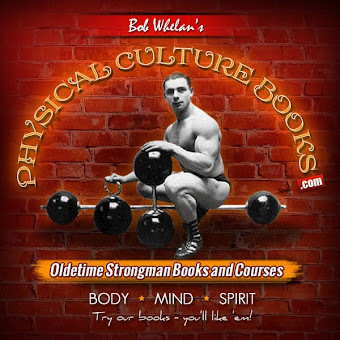 When I was striving for better calves, I had the same problem to face as my calves were poor for the rest of my body, and all anyone could tell me, even the most learned instructors of that time, was to raise upon the toes of both feet, then upon the toes of one foot, while holding some heavy object in my hands. I did that for years it seemed, but got nowhere, simply because the muscles became accustomed to those movements, just as they do to walking, until the movements finally resolved themselves into an endurance exercise. I began to study the muscles and how they functioned, and then I found the answer that brought my fourteen-inch calves up to sixteen and a half inches. 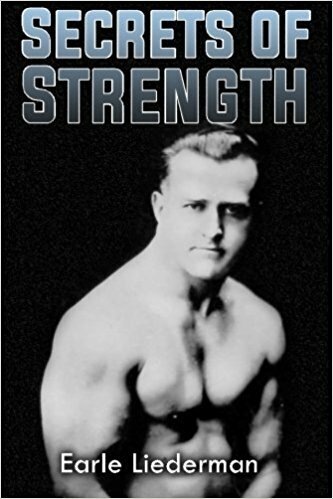 I found out long before that muscles grew better under the stimulus of a greater variety of exercises, rather than under the monotony of one or two. 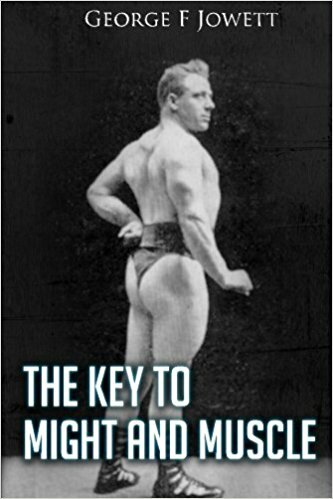 I arranged my program and followed the principle explained in the chapter on "How specialization destroys the jinx in stubborn muscles." One week I would do one group of calf exercises, the next week another group, and then mix them up. In other words, I exercised the calves from every conceivable angle. I would place a heavy bar bell on the back of my neck, and raise high on the toes of both feet. Then I walked around the room balanced on the toes, keeping the knees locked all the time. While holding a kettle bell in one hand, I performed the one foot raise, keeping the other foot off the floor. But I had to rest the tips of my fingers on the back of a chair, in order to preserve my balance. However, this is what I had always been doing, and my calf muscles were used to that action. I was stumped. Nobody had anything else to offer me, and much as I realized the value of games, I had not the time at my disposal to practice them. Then again, it was winter and the roads were blocked with snow. I obtained a book on anatomy, and read underneath the explanatory construction of the gastrocnemius, the short line "Flexor of the knee and extensor of the ankle." Not much on which to work, but somehow I puzzled over the way the word "flexor" was used. Even now, the majority of exercise teachers still have the misguided habit of using flexion and contractions of muscles as though they had the same meaning, which is all wrong. The difference began to dawn on me, and I then understood that a flexion is a bending process, not a contraction, although it involves such muscular effort. You can tense and flex your ankle, wrist and other joints, but you can't contract them. Everything came to me with a rush. I understood better why walkers and distance runners had not the calf development of sprinters and bike riders. The flexion of the knee is much more powerful in the latter than in the former, although the sprinter and bike rider use the muscles a trifle differently. A sprinter races on the ball of his foot with his weight carried forward, and as he makes his leg drives, he brings his knee almost up to the chest, thereby bringing into action more forcibly the gastrocnemius muscles. He is actually striving to see how fast he can leap ahead with his weight. A bike rider goes through even more powerful leg movements. He straps his feet to the pedals, so that he is better able to "pull" the big driving wheel around, as well as thrust it forward and drive it downward. It is claimed that the "pull" round is what gives them their terrific speed, hence the remarkable calf display. I lined up a few new exercises with this knowledge in mind hoping that they would give me the same results without being obliged to indulge in those sports. In place of a dancing school, I adopted the footwork of Kid McCoy, "The Dancing Master" making the play a little more vigorous by using a dumb-bell in each hand. I believe I have explained this practice before in the columns of "Strength." however, there is no harm in telling it again. I arranged a circle, marked off in squares, each square being numbered. I took up my position in the center, balanced upon the toes in a squat position. That is, I was almost sitting on my heels. You can spring faster that way. A friend would call out any number he saw fit, and I would leap to it; from one to the other, backwards, forwards, and sideways, always on the rebound. It was great stuff for the eye, mind and wind as well as muscle. Then I would walk up and down a flight of stairs once, while holding a kettle bell in each hand. The only trouble with this last exercise is that it tires you out too quickly, because there is so much thigh action. But a little of it is good. Now here is something which I learned. The fact that you raise high on one foot with the knee locked is not proof that you bring about a complete contraction of the gastrocnemius. Nearly every muscle culturist believes this is the case, but it is not so. It gives great play to the lateral muscles and will make the calf look deep when viewed sideways, but will not give the width, which is the appearance so desirable to the leg culturist. The outer part of the gastrocnemius secures a greater amount of play than the inner part, and you must remember, this muscle is a powerful flexor of the knee and extensor of the ankle, which means, in order to give the gastrocnemius its fullest contraction, the knee must be bent, and the ankle extended. Try this one. Tie a dumb- bell of about fifteen to twenty-five pounds with a cloth around the ankle, then place the hands on the hips. Gradually draw the knee up to the chest, and as you do so point the toe to the floor. This will give complete contraction to both parts of that twin muscle, besides giving the desired effect upon the inner head to promote width as well as depth. Here is another that will get the inner head by just an ankle extension. Hitch a light kettle bell of about ten pounds to the toes, place one hand on the back of a chair, just to safeguard the balance of the body, then begin by raising the leg forward, keeping the toe pointed as much as possible. Going back to the position, as given in the last exercise, but one, with the knee raised high, from that position allow the toes to travel in a straight line inwards and outwards. A few movements like this will make you feel happily contented that you are on the right road at last. A real good exercise is in something like an exercise I give for the development of the biceps of the thighs. Lie face downwards on a table and allow a friend to place a kettle bell over each foot. Extend the ankle by bending the heel backwards and pointing the toes. Begin to curl the foot towards the buttock. As the foot is lowered, still keep the toes pointed. Practice this exercise with both feet working together, and then each foot alternately. To develop the muscle on the shin bone, stand erect and hitch the foot into a kettle bell handle, then raise the leg to right angles with the body, but this time don't point the toe. Instead, bend the foot towards the shin bone. Deep knee bending with the feet flat on the floor is also a good exercise for the shin muscles. I might add that this muscle is one that walkers do have very well developed. Did you ever try raising on the ball of the foot and every few counts change the angle of the feet, so that one time they will be pointed out, and then work so the toes are turned in considerably? There is still another exercise that puts pep and muscle in the calf, which I should mention, although it takes quite a bit of practice to be able to perform it correctly. It is the Russian ballet step, where you squat upon the haunches with arms folded and balance on the ball of the foot. Hop backwards, sideways and forward, and when you get accustomed to the step, walk forward, and as each step is taken, straighten out one leg. It is rather difficult, but if you are interested in securing a better calf appearance, you will find it well worth your time and patience. I dwelt longer on this subject than I intended, but I feel sure you will profit by it. I have had many pupils tell me that these exercises have done for them in a few weeks what years of practice failed to yield. One pupil of mine actually increased his calf measurement from twelve and three-quarter inches to fifteen and a half inches, inside of two months. When I think of how I slaved for mine, I envy the young exercise fan who can start right off and know he is on the right road for results. However, I am glad to know that my experiences have been able to help others succeed. That alone is worth a lot to me. One thing I must impress upon your mind, and that is the value of massage in the building of the calf muscles. Always keep them as loose and as pliable as possible. The forearm bogey is a pig with another snout, as we used to say. Where the calves become hard from constant use, the forearm muscles do not. With the exception of the mechanic, the average person seldom stirs up much forearm action. 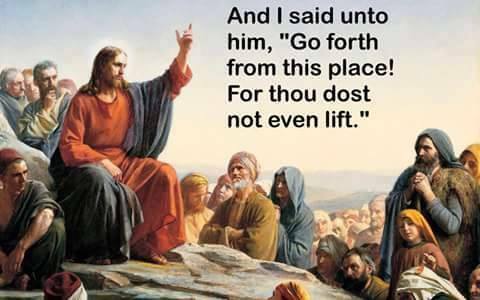 In the first place he objects to carrying anything that is heavy, and in the second place anything carried is generally with a bent arm, so that any physical effort is taken care of by the upper arm muscles. The forearms are usually soft and flabby, and it takes a little while before this enervated tissue can reconstruct itself. However, among mechanics we find very much the same condition of the forearms as we find to be true of the legs of the policeman or postman. They do the same thing all the time, use their muscles in the one routine. The muscles grow sufficiently strong for their work, and there it all ends. Of course, in extremely laborious occupations, such as using a pick and shovel, trundling a loaded wheelbarrow or handling bales, etc., in a shipping house, we find many fine examples of forearm development. But it was the old time blacksmith of Longfellow's day, when forgings were heavy and more often used, and made with no other mechanical help than the heavy hammer and the brawn of the arm, that gave us the finest pattern of the mighty arm. But those days are gone, and anyhow none of us want to slave at such laborious occupations in order to possess a fine pair of arms. Exercise we will do and with pleasure, say all the muscle seekers. Just show us the way. This I can easily do and in a manner that will give you lots of fun while you are striving for profit. Forearm development was easy for me. It seemed I always had it, and I had to do the reverse of the majority, make my biceps grow in proportion to my forearm. But I attribute all my forearm development to the pleasant exercises I practiced, that always kept me playing, as it were. Like everybody else, I admire a fine arm, and I would like to see every body culturist with a pair. Legs like John Lemm, Joe Urlacher, Moss, Manger, and Passannant, and arms like Saxon, Nordquest, Aston and Cadine. That's what I like to see. Shape, size, and strength. There is no bogey in calf or forearm development; it is just certain conditions that have to be overcome, and this can be done with proper exercise. In my next chapter I am going to discuss at length how you really can beautify your body with a real pair of arms, equal to the calves I know you are going to have after you have practiced the exercises in this lesson a short while. Use whatever weight dumb-bells, bar bells and kettle bells you feel comfortably able to handle. Always let your physical condition be your guide in exercise and you will succeed.